I saw Queens of the Stone Age once. It was a great show, however it paled in comparison to what I saw just a mere two hours later that same evening. A local band called the Broken Ohms played a full set of Kyuss covers. Yeah, that’s right. Covers. And it blew my mind. As far as I was concerned, I was seeing Kyuss. The switch in my brain flicked off and all that mattered was these dudes in front of me were playing “Supa Scoopa & Mighty Scoop” and I was there. Pure magic, plain and simple. So what could possibly trump that? How about three quarters of the original Kyuss line-up reforming? John Garcia, Brant Bjork and Nick Oliveri, along with newcomer Bruno Fevery have resurrected Kyuss under the moniker Kyuss Lives. The band has a string of tour dates already lined up and have even hinted at the possibility of new music. Obviously the one missing piece of the puzzle would be Kyuss/QOTSA guitarist Josh Homme, which would be the reason for not rolling things out under the official Kyuss name. John Garcia has stated that without Josh, there will never be a Kyuss reunion. Naturally I kind of wish it was all four original members, but if you read the first paragraph of this post, it’s safe to assume I’m not hard to please when it comes to getting a dose of Kyuss. So far there aren’t any North American dates. But I’ll warn my wife now, if that changes, I will be going to one of those shows. 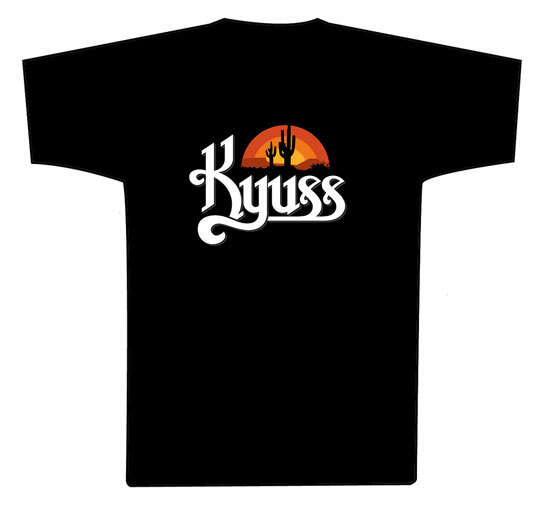 Also, check out the homemade Kyuss shirts my friend James and I made for the above mentioned QOTSA show. I am very confident we were the only two in attendance rocking these styles. Hy! 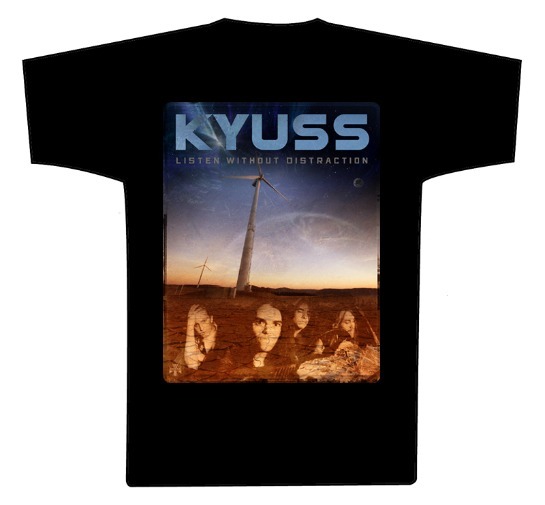 Is the t-shirt “kyuss desert sunset” available?